The Greek philosopher ARISTOTLE (384-322 BCE) was the first to speculate on the motion of bodies. He said that the heavier the body, the faster it fell. 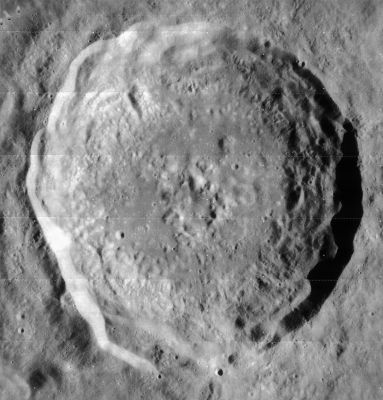 It was not until 18 centuries later that this notion was challenged by Galileo. The philosophers of ancient Greece had known about statics but were ignorant of the science of dynamics. They could see that a cart moves because a horse pulls it, they could see that an arrow flies because of the power of the bow, but they had no explanation for why an arrow goes on flying through the air when there is nothing to pull it like the horse pulls the cart. Aristotle made the assumption that there must be a force to keep things moving. Galileo contradicted. He believed that something will keep moving at the same speed unless a force slows it down. He contended that an arrow or a thrown stone had two forces acting upon it at the same time – ‘momentum’ pushes it horizontally and it only falls to the ground because the resistance of the air (a force) slows it down enough for it to be pulled to the ground by another force pushing downwards upon it; that which we now know as ‘gravity’. This is the principle of inertia and led him to correctly predict that the path of a projectile is a parabola. His insights were similar to the first two of the three laws of motion that Newton described 46 years later in ‘Principia’. Although he did not formulate laws with the clarity and mathematical certainty of Newton, he did lay the foundations of the modern understanding of how things move. Galileo resisted the notion of gravity because he felt the idea of what seemed to be a mystical force seemed unconvincing, but he appreciated the concept of inertia and realized that there is no real difference between something that is moving at a steady speed and something that is not moving at all – both are unaffected by forces. To make an object go faster or slower, or begin to move, a force is needed. Galileo would take a problem, break it down into a series of simple parts, experiment on those parts and then analyse the results until he could describe them in a series of mathematical expressions. His meticulous experiments (‘cimento‘) on inclined planes provided a study of the motion of falling bodies. He correctly assumed that gravity would act on a ball rolling down a sloping wooden board that had a polished, parchment lined groove cut into it to act as a guide, in proportion to the angle of the slope. He discovered that whatever the angle of the slope, the time for the ball to travel along the first quarter of the track was the same as that required to complete the remaining three-quarters. The ball was constantly accelerating. He repeated his experiments hundreds of times, getting the same results. From these experiments he formulated his laws of falling bodies. Mathematics provided the clue to the pattern – double the distance traveled and the ball will be traveling four times faster, treble it and the ball will be moving nine times faster. The speed increases as a square of the distance. He found that the size of the ball made no difference to the timing and surmised that, neglecting friction, if the surface was horizontal – once a ball was pushed it would neither speed up nor slow down. His findings were published in his book, ‘Dialogue Concerning the Two Chief World Systems’, which summarised his work on motion, acceleration and gravity. His theory of uniform acceleration for falling bodies contended that in a vacuum all objects would accelerate at exactly the same rate towards the earth. Legend has it that Galileo gave a demonstration, dropping a light object and a heavy one from the top of the leaning Tower of Pisa. Dropping two cannonballs of different sizes and weights he showed that they landed at the same time. The demonstration probably never happened, but in 1991 Apollo 15 astronauts re-performed Galileo’s experiment on the moon. Astronaut David Scott dropped a feather and a hammer from the same height. Both reached the surface at the same time, proving that Galileo was right. Another myth has it that whilst sitting in Pisa cathedral he was distracted by a lantern that was swinging gently on the end of a chain. It seemed to swing with remarkable regularity and experimenting with pendulums, he discovered that a pendulum takes the same amount of time to swing from side to side – whether it is given a small push and it swings with a small amplitude, or it is given a large push. If something moves faster, he realised, then the rate at which it accelerates depends on the strength of the force that is moving it faster, and how heavy the object is. A large force accelerates a light object rapidly, while a small force accelerates a heavy object slowly. The way to vary the rate of swing is to either change the weight on the end of the arm or to alter the length of the supporting rope. The practical outcome of these observations was the creation of a timing device that he called a ‘pulsilogium’. Galileo confirmed and advanced COPERNICUS’ sun centered system by observing the skies through his refracting telescope, which he constructed in 1609. Galileo is mistakenly credited with the invention of the telescope. He did, however, produce an instrument from a description of the Dutch spectacle maker Hans Lippershey’s earlier invention (patent 1608). He discovered that Venus goes through phases, much like the phases of the Moon. From this he concluded that Venus must be orbiting the Sun. His findings, published in the ‘Sidereal Messenger‘ (1610) provided evidence to back his interpretation of the universe. He discovered that Jupiter has four moons, which rotate around it, directly contradicting the view that all celestial bodies orbited earth, ‘the centre of the universe’. 1610 – Galileo appointed chief mathematician to Cosmo II, the Grand Duke of Tuscany, a move that took him out of Papal jurisdiction. 1613 – writes to Father Castelli, suggesting that biblical interpretation be reconciled with the new findings of science. 1615 – a copy of the letter is handed to the inquisition in Rome. 1616 – Galileo warned by the Pope to stop his heretical teachings or face imprisonment. 1632 – when Galileo published his masterpiece, ‘Dialogue Concerning the Two Chief World Systems’ – (Ptolemaic and Copernican) – which eloquently defended and extended the Copernican system, he was struggling against a society dominated by religious dogma, bent on suppressing his radical ideas – his theories were thought to contravene the teachings of the Catholic Church. He again attracted the attention of the Catholic Inquisition. His book took the form of a discussion between three characters; the clever Sagredo (who argues for Copernicus), the dullard Simplicio (who argues hopelessly for Aristotle) and Salviati (who takes the apparently neutral line but is clearly for Sagredo). In 1633 he was tried for heresy. ‘…a proposition absurd and false in philosophy and considered in theology ad minus erroneous in faith…’. 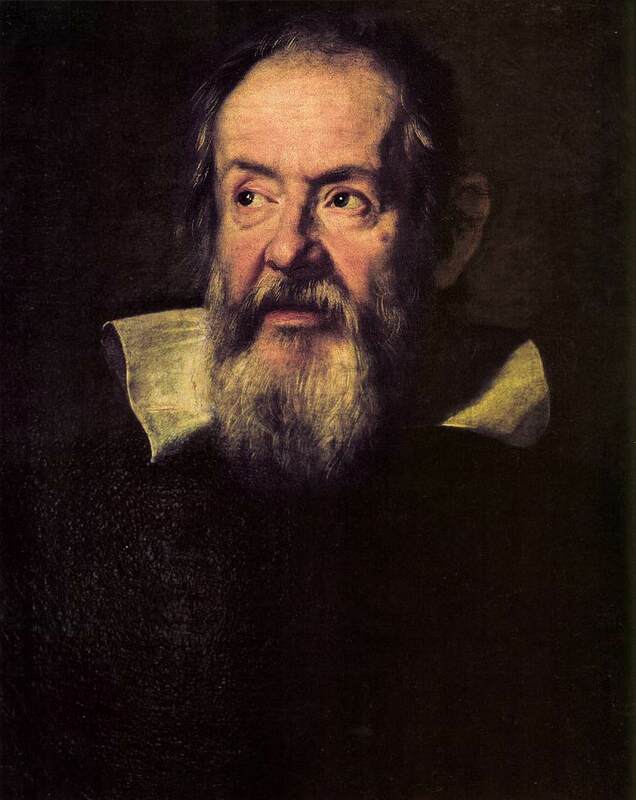 Threatened with torture, Galileo was forced to renounce his theories and deny that the Earth moves around the Sun. He was put under house arrest for the rest of his life. After Galileo’s death in 1642 scientific thought gradually accepted the idea of the Sun-centered solar system. In 1992, after more than three and a half centuries, the Vatican officially reversed the verdict of Galileo’s trial. Galileo’s thermoscope operated on the principle that liquids expand when their temperature increases. A thermoscope with a scale on it is basically a thermometer and in its construction Galileo was probably following directions given by Heron of Alexandria 1500 years earlier in ‘Pneumatics’. As with the telescope, Galileo is often incorrectly given credit for the invention of the thermometer. The Theorem may also be written as a general law: a2 + b2 = c2 where c is the length of the hypotenuse of a right-angled triangle, and a and b the lengths of the other two sides. Pythagoras’ theorem is a starting point for trigonometry, which has many practical applications such as calculating the height of mountains and measuring distances. Pythagoras was the first to prove the relationship between the sides of a right-angled triangle, but he did not discover it – it was known to Babylonians for nearly 1000 years before him. His disciples, members of the semi-religious, philosophical school he founded, may have actually found many of the mathematical discoveries credited to Pythagoras. The inner circle of followers were known as mathematikoi and, unusually for the time, included women among its membership. An outer circle, the akousmatics, lived in their own homes and came in to the school by day. Of the five key beliefs the Pythagoreans held, the idea that ‘all is number’ was dominant; the belief that reality at its fundamental level is mathematical and that all physical things like musical scales, or the spherical earth and its companions the stars and the universe, are mathematically related. Pythagoras was responsible for the widely held Greek belief that real knowledge had to be like mathematics – universal, permanent, obtained by pure thought and uncontaminated by the senses. The field of stars changes with the latitude of the observer; the mast of a ship comes into view before its hull as the ship approaches the shore from a distance; and the shadow of the Earth cast on the moon during a lunar eclipse is always round. After Pythagoras, the idea of a ‘perfect’ mathematical interrelation between a globe moving in circles and the stars behaving similarly in a spherical universe inspired later Greek scholars, including ARISTOTLE, to seek and ultimately find physical and mathematical evidence to reinforce the theory of the world as an orb. Attributed to the Pythagoreans is the discovery that simple whole number ratios of string lengths produce harmonious tones when plucked, probably the first time a physical law had been mathematically expressed. Numerous other discoveries such as ‘the sum of a triangle’s angles is the equal to two right angles’ and ‘the sum of the interior angles in a polygon of n-sides is equal to 2n-4 right angles’ were made. They also discovered irrational numbers, from the realisation that the square root of two cannot be expressed as a perfect fraction. This was a major blow to the Pythagorean idea of perfection and according to some, attempts were made to try to conceal the discovery. To the Pythagoreans, the fifth polyhedron had monumental significance. Outnumbering by one the number of recognized elements, the dodecahedron was considered to represent the shape of the universe. A omerta, or code of silence, was imposed regarding the dodecahedron and divulging this secret to outsiders could mean a death penalty. The properties of solid figures have kept mathematicians occupied for centuries. Regular polyhedra are formed from regular polygons such as squares or triangles and mathematicians have failed to find any more than five of them. Although they were defined by Pythagoras two hundred years before Plato was born, they are known collectively as the platonic solids, named in honour of PLATO by the geometer Euclid. A pupil of Socrates, Plato was introduced to the notion of ‘reality’ being distorted by human perceptions, which became important in his approach to science and to metaphysics. Socrates taught a method of thinking that elucidated truth though a series of questions and answers. The Socratic method was to ask for definitions of familiar concepts like ‘justice’ and ‘courage’, and then probe the definition by asking a series of questions. His intention was to lead people to start to contradict themselves and in so doing uncover any weaknesses in the initial definition. Socratic dialogue is thus often better at revealing ignorance than producing answers. Socrates was convinced that the wisest people are those who are aware of how little they know. Socrates fell foul of a newly elected democratic government and was put on trial for allegedly corrupting the youth of Athens with his rebellious ideas. He was sentenced to death and elected to drink hemlock rather than argue in favour of a fine or accepting the offer of help to escape. His rational for his obstinacy was that he believed that doing harm damaged one’s soul. As the soul survives death then it would be better to die. Plato determined to reveal a world of certainty that existed beyond the world of change and decay. The physical world we see is merely the world of ‘becoming’ – a poor copy of the ‘real’ world of the Forms which can only ever be grasped through thought. After PYTHAGORAS and HERACLITUS, most Greek philosophers believed that knowledge had to be as stable and fixed as the certainties of mathematics, kept safe from Heraclitan change and from sceptical relativism. Knowledge could only come through thought and although observation was useful, it was an inferior and misleading way of understanding the world and the place of human beings within it. Such a view helps to explain why it is that the ancient Greeks invented extremely sophisticated mathematics, astronomy and philosophy but little in the way of technology. Plato produced nearly all the central questions for philosophy in epistemology, metaphysics, ethics, politics and aesthetics. Central to Plato’s thinking is that people should seek virtue studying what he called the Good, a non-physical absolute concept that never changes. If you know Good, you will live well because your thoughts and desires will automatically be shaped by that knowledge. During the decade of his travels after the execution of Socrates, Plato wrote his first group of ‘dialogues’ – which include the ‘Euthyphro‘, ‘Apology’, the ‘Crito’, ‘Phaedo‘ – concerning the trial and death of Socrates. Further accounts of Socrates debates with friends on various subjects are found in other works; ‘Charmides’ (temperance); ‘Laches’ (courage); ‘Lysis’ (friendship); ‘Hippas Minor’, ‘Hippas Major’, ‘Gorgias’, ‘Ion‘, and ‘Protagoras’ (ethics and education). In his plays, Plato used Socrates as a character, bringing his mentor back from the grave and throwing light on his concepts. In Gorgias, Plato portrays Socrates confronting Polus, or the sophist Callicles, who holds that immoral acts can bring the greatest amount of pleasure, measuring actions in terms of their immediate material outcome. Socrates disagrees. Whatever the immediate pleasure, he says, immorality will damage the soul. Opposing DEMOCRITUS, Plato believed that all substances are composed of one kind of matter, possessing the qualities of form and spirit. He accepted the Greek notion, first suggested by EMPEDOCLES in the fifth century BCE, that matter was made up of mixtures of the four elements – earth, water, air or fire. Because these four are only fundamental forms of the single type of matter, they cannot be related to any idea of ‘elements’ as understood by modern science – they could be transmuted into each other. Different substances, although composed of matter would have different properties due to the differing amounts of the qualities of form and spirit. Thus a lump of lead is made of the same type of matter (fundamental form) as a lump of gold, but has a different aggregation of constituents. Neither lead nor gold would contain much spirit – not as much as air, say, and certainly not as much as God, who is purely spiritual. 399 BCE on the execution of SOCRATES, Plato leaves Athens in disgust. 387 BCE Returns to Athens. Plato founds his academy (‘ Let no one enter here who is ignorant of geometry ‘) – a bastion of intellectual achievement until its closure on the orders of the emperor Justinian in CE 529. Plato’s ‘Theory of Forms’ consisted of the argument that Nature, as seen through human eyes, is merely a flawed version of true ‘reality’, or ‘forms’. Plato argued that everything we see and call beautiful in some way resembles the form of Beauty. Two people independently come to the conclusion that a person or an object is beautiful because they both recognise the form of Beauty. In a similar way, everything that we see as ‘Just’ resembles the form of ‘Justice’. Disputes about the rightness of actions then depend on how well the outcome will conform to the form of Good. For a person to act justly requires that while they seek the form of Good, they keep the three parts of their personality in balance. The person needs wisdom, which comes from reason; courage, which comes from the spirited part of man; and self-control, which rules the passions. In ‘The Republic’ Plato expands the idea that if you educate a person so that he can see that a particular action is not good for them, then they will not perform that action. This knowledge will enable them to make good decisions and to rule wisely, hence the idea of a philosopher king who has mastered the discipline of ‘dialectic’ and studied the hierarchy of Forms. The society is organised into a rigid hierarchy of workers, soldiers and rulers who all know their relative positions and there is a communism of property and family. The rulers have totalitarian powers and a harmonious communal life can only be achieved at the expense of individual freedoms. Plato’s educational syllabus in ‘The Republic’ is based on Spartan methods – selfless dedication to the welfare of the State is essential. Plato encountered the Pythagoreans in Croton, who became a major influence. For Plato, there had always existed an eternal, underlying mathematical form and order to the universe, and what humans saw were merely imperfect glimpses of it, usually corrupted by their own irrational perceptions and prejudices about the way things ‘are’. Consequently, for Plato, the only valid approach to science was a rational mathematical one, which sought to establish universal truths irrespective of the human condition. This has strongly impacted on modern science; for example, arithmetic calculations suggesting that future discoveries would have particular properties has led to the naming of unknown elements in DMITRI MENDELEEV‘s first periodic table. Aristotle reinforced the view espoused by PYTHAGORAS that the earth is spherical. The arc shaped shadow of the earth cast upon the moon during a lunar eclipse is consistent with this view. He also noted that when traveling north or south, stars ‘move’ on the horizon until some gradually disappear from view. Proposing that there was no infinity and no void he accepted the notion of the earth at the centre of the universe, with the moon, planets, sun and stars all orbiting around it in perfect circles. The universe existed as beautiful spheres surrounding the Earth, placed at the centre of the cosmos. This system was later refined by the Alexandrian astronomer Ptolemy and become the dominant philosophy in the Western world. Explaining why the heavens rotate in perfect, uniform order, with none of the disturbances associated with earthly elements; he described the fifth element added to the traditional four, ‘Aether‘, as having a naturally circular motion. Everything beyond the moon was regulated by aether, explaining both its perfect movement and stability, while everything below it was subject to the laws of the four other elements. Aristotle rejected the ideas of zero and infinity, hence he had explained away Zeno’s paradoxes – Achilles runs smoothly past the tortoise because the infinite points are simply a figment of Zeno’s imagination; infinity was just a construct of the human mind. By rejecting zero and infinity, Aristotle denied the atomists’ idea of matter existing in an infinite vacuum, infinity and zero wrapped into one. He believed that the qualities of heat, cold, wetness and dryness were the keys to transformation, each element being converted into another by changing one of these two qualities to its opposite. Agreeing that things were composed of a single, primal substance (prote hyle) that was too remote and unknowable, he accepted EMPEDOCLES elements as intermediaries between the imponderable and the tangible world, concealing the complications behind a philosophy of matter. The four elements always sought to return to their ‘natural place’. Thus a rock, for example, would drop to the earth as soon as any obstacles preventing it from doing so were removed – because ‘earth’ elements, being denser and heavier, would naturally seek to move downwards towards the centre of the planet. Water elements would float around the surface, air would rise above that and fire would seek to rise above them all, explaining the leaping, upward direction of flames. Although the Aristotelian view of matter has been undermined as experiments proved that neither air nor water are indivisible; today, scientists define matter as existing in four phases, solid, liquid, gas and plasma. The place where his ideas converge with Plato’s is that for Aristotle, the pinnacle of the tower of superiority is the Good. According to Aristotle, all aims eventually lead to the Good, not necessarily of the individual but of humankind. Humans by nature are social and moral and everyone is part of a group, a family, village, town or city-state. There is no place for individualism or freethinkers, as without the happiness of the group then the individual cannot be happy. The consequence of this emphasis on the community as opposed to the individual is hierarchy and subordination and as a result slavery was a very normal part of a well-ordered society. Matter is itself only one component of the world – others being form and spirit. There are different sorts of living being in the world. Human beings possess immortal souls. He believed that there is in living creatures a fundamental vital principle, a ‘life force’, which distinguishes them from non-living material. The gods breathed this vital principle into living things, and thereby gave them their life – ( nous – spontaneous generation ). The soul is governed by reason, spirit and appetite. Forms are incorporated in individual particulars as potentiality. All particular acorns possess the form of the potential oak tree. Although Aristotle was a pupil at Plato’s Academy for almost twenty years, the two great thinkers were diametrically opposed on a number of subjects; he criticised Platonic forms for being impossibly transcendent and mystical. Aristotle pursued his ideas unrestricted by Socratic theories that non-physical forms such as Truth and Beauty were the keys to understanding. To study a situation, or an action, Aristotle would categorise it into a series of subordinate and superior aims. Aristotle could explain why a rock, when thrown, would travel upwards through the air first before heading downwards, rather than straight down towards the earth. This was because the air, seeking to close the gap made by the invasion of the rock, would propel it along until it lost its horizontal speed and it tumbled to the ground. Such notions made a lasting impact for the next two thousand years, if only by slowing down progress due to their unchallenged acceptance. Some of Aristotle’s biology was faulty, such as defining the heart, not the brain as the seat of the mind. Aristotle’s model of ‘the hydrologic cycle’ is uncannily close to the ideas we have today. The Sun’s heat changes water into air ( as defined as ‘elements’ by EMPEDOCLES ). Heat rises, so the heat in this air pulls the air up to the skies ( modern explanations of the nature of heat give a fuller understanding of the mechanisms involved ). The heat then leaves the vapour, which thus becomes progressively more watery again, and this process is marked by the formation of a cloud. The positive feedback of the increased ‘wateriness’ of the mixture in the cloud driving away its opposite ( the ‘heat’ ) and causing the cloud to become colder and shrink results in restoration of the true wateriness of the water, which falls as rain or, if the cloud is now cold enough, as hail or snow. Aristotle was one of the first to attempt a methodical classification of animals; in ‘Generation of Animals’ he used means of reproduction to differentiate between those animals which give birth to live young and those which lay eggs, a system which is the forerunner of modern taxonomy. He noted that dolphins give birth to live young who were attached to their mothers by umbilical cords and so he classified dolphins as mammals. Based on the Pythagorean universe, the Aristotelian cosmos had the planets moving in crystalline orbs. Since there is no infinity, there cannot be an endless number of spheres; there must be a last one. There was no such thing as ‘beyond’ the final sphere and the universe ended with the outermost layer. With no infinite and no void, the universe was contained within the sphere of fixed stars. The cosmos was finite in extent and entirely filled with matter. The consequence of this line of reasoning, accounting for Aristotle’s philosophy enduring for two millennia was that this system proved the existence of God. The heavenly spheres are slowly spinning in their places, making a divine music that suffuses the cosmos. The stationary earth cannot be the cause of that motion, so the innermost sphere must be moved by the next sphere out, which, in its turn must be moved by by its larger neighbour, and on and on. With a finite number of spheres, something must be the ultimate cause of motion of the final sphere of fixed stars. This is the Prime Mover. Christianity came to rely on Aristotle’s view of the universe and this proof of God’s existence. Atomism became associated with atheism. The ideas of Aristotle were picked up by the twelfth century Andalusian philosopher Abu al-Walid Muhammad ibn Ahmed ibn Rushd (AVERROES) and were later adopted by the medieval philosopher THOMAS AQUINAS in the thirteenth century; whose concept of Natural Law is the basis of much thinking in the Christian world. Aristotle had greater influence on medieval scholastic thought than Plato, whose rediscovery in the Italian renaissance influenced Petrarch, Erasmus, Thomas More and other scholars to question the dogmas of scholasticism. Aristotle’s work in physics and cosmology dominated Western thought until the time of GALILEO and NEWTON, when much of it was subsequently refuted, though his work still underpins both Christian and Islāmic philosophy. His importance lies as much in his analytical method as in the conclusions he reached. Aristotle expanded Plato’s concept of ‘virtue’ by dividing virtues into two groups, the 12 ‘moral’ and 9 ‘intellectual’ virtues, believing that each lay between the non-virtuous extremes of excess and deficiency. Eudoxus flourished around the middle of the 4th century BCE; he was an astronomer initiated into the Egyptian mysteries, obtaining his knowledge of the art from the priests of Isis. His work is passed to us through Aristotle.